Absolutely beautiful! 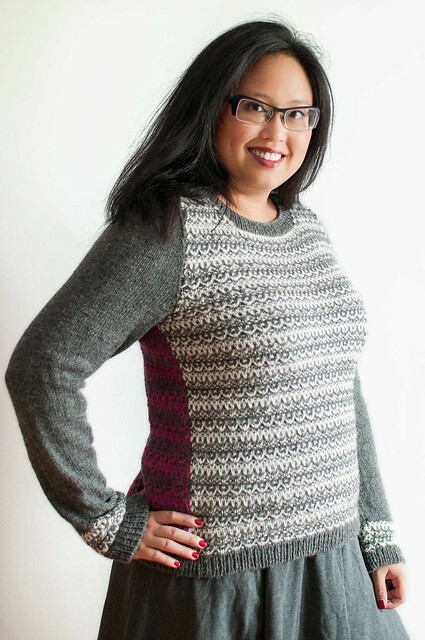 Didn’t realize that the stripey ones and the over-the-knee ones would be the same pattern! I love these, and the pattern name is perfect! I’m trying out your short heel tutorial with a different heel color, like Delicious. Is it correct that I do not have to break off the original color? It will be waiting there at the corner after the heel is complete? 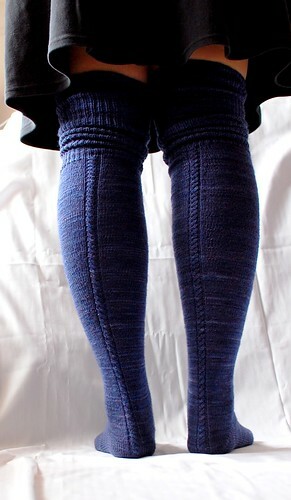 Someday I will knit a pair of knee socks. Thanks for making this pattern available! Well. Those are just…. Stupid cute. I was going to ask you what calf size D was and then I reread the pattern description. Now I know how much yarn I need to get! There’s such a thing as calf size? Well, who knew? Regardless, I must have these. I love these, think I may need a pair! Those selections of yarns are beautiful. Unfortunately I have to wear compression socks, so I am unable to knit my own. But I sure would love to wear some socks in those fun colors! There isn’t much of a color selection for compression socks. They started making the athletic ones in nice colors like green and pink, hopefully I will start to see some medical compression socks in colors like you have shown above! Some tips i have always told people today is that when looking for a good internet electronics retail outlet, there are a few components that you have to think about. First and foremost, you want to make sure to choose a reputable along with reliable retailer that has enjoyed great evaluations and ratings from other shoppers and business sector leaders. This will ensure that you are getting along with a well-known store that delivers good program and aid to the patrons. Many thanks for sharing your notions on this blog site. Thanks for your publication on this blog. From my own experience, many times softening upwards a photograph could provide the professional photographer with a little bit of an imaginative flare. Often times however, that soft clouds isn’t just what you had planned and can often times spoil a normally good photograph, especially if you consider enlarging that.